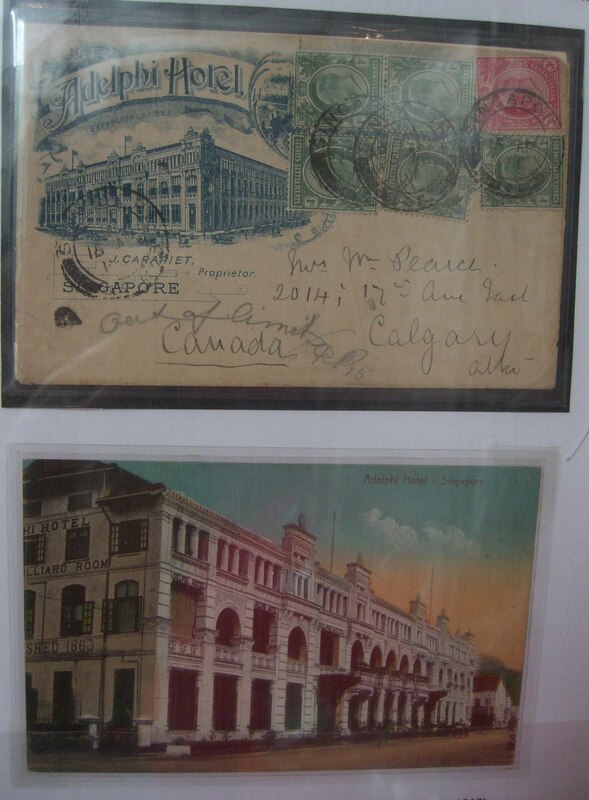 Always thought Raffles Hotel was the first and oldest hotel in Singapore till I saw a postcard at a stamp exhibition. On it was written - Adelphi Hotel, established 1863. That makes it the first in Singapore as the Raffles Hotel was established only in 1887. According to a National Library article written by Marsita Omar, the Adelphi Hotel actually shifted three times. It was first situated at Commercial Square (the present Raffles Place) until its premise became too small for its expanding business. Then it moved to High Street and later to number 3 Coleman Street, the residence of Singapore's first-trained architect, George Drumgoole Coleman. It was around 1904 that Messrs Sarkies, Johannes & Co. purchased the property and made improvements to the hotel. It was entirely rebuilt with 100 bedrooms that came with bathrooms attached. There was also the Billiard Room and a Reading Room on the ground floor. The Adelphi Hotel was a place rich in history. It was the place where General Yamashita met with Singapore's 400 community leaders in a bid to gain their confidence in the new regime. 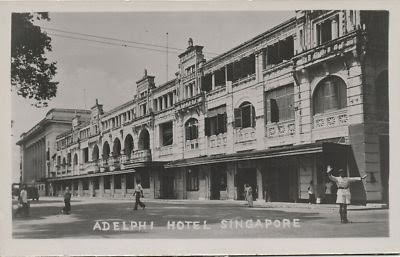 During the Japanese Occupation, the Adelphi Hotel was renamed the Nanto Hotel. The article also mentioned that the Adelphi Hotel at Coleman Street was permanently closed in 1973 with the 25th June being its last business day. Eventually, the entire building was demolished in 1980 and replacing it was the Adelphi Complex. Sad. It could have been a great hotel restored to its former glory just like the Raffles. The conservation phase in Singapore just came too late to rescue this grand dame.